We still hope to have Android 7.0 in our devices in the near future. For the meantime we need to trust Meizu and Flyme staffs. Further critiques will be told once Flyme 6 rolls out officialy. It does not matter much, when you have awesome OS like flyme 6. 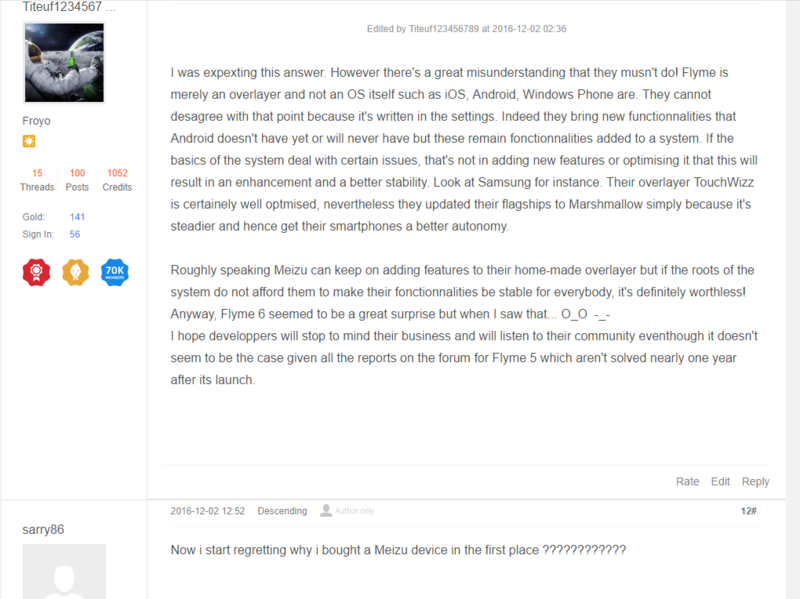 Flyme 6 features are better than marshmallo it self. I don't find any reason to cry cause just it has different name of android marshmallow. I love flyme not any android version. If you just want android u are free to choose then. No puede ser, si la versión actual del flyme 5 es 5.1.11,0G para el meizu mx4 pro ES BASADO en piruleta androide 5.1.1 Se Supone Que Pasara al malvavisco con el flyme 6.